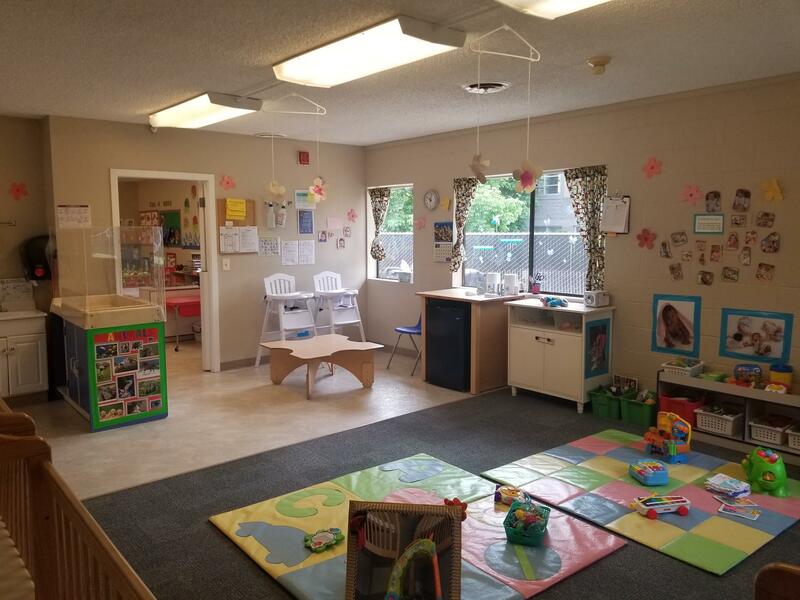 Our educated and caring staff is here to provide a safe and nurturing environment for your infants to develop and grow. You will receive a daily report indicating your child’s eating, sleeping and diaper changing for that day. All infants follow their own sleeping and feeding schedule. Once your child is 10 months old we are able to introducing center foods. At this time we will start the two month process of getting your baby ready to transition into the toddler room. All infant rooms in the state of Washington are safe sleep environments. No blankets are allowed on the floor or in the cribs at any time. You may provide a sleep sack for your child.